Krsna, the Supreme Personality of Godhead, receives prayers of respect from the four-headed Brahma, the first created being in the universe. While Lord Krsna was performing transcendental pastimes as a cowherd boy, Brahma, thinking Him an ordinary person, played a trick on Him by stealing away His cows and cowherd friends. 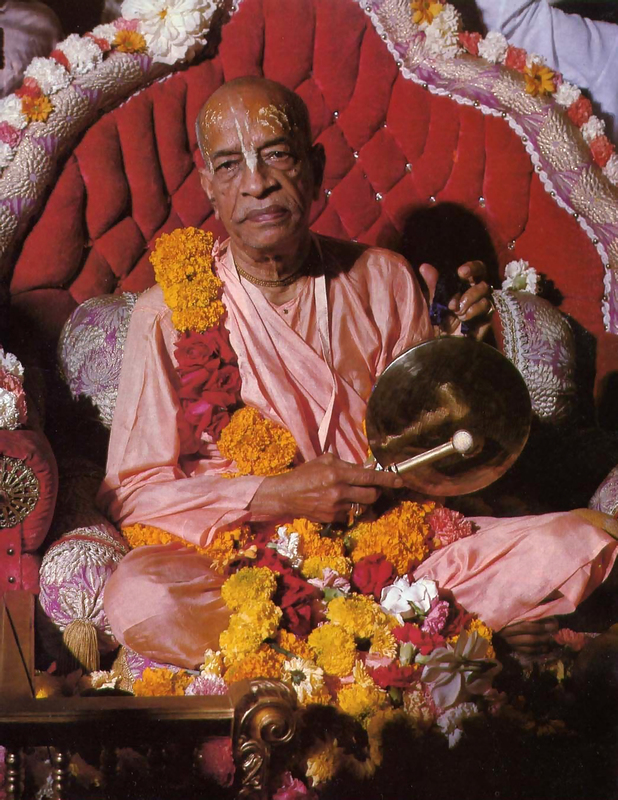 Lord Krsna, however, created identical cows and friends from His own mystic power and went right on with His pastimes. 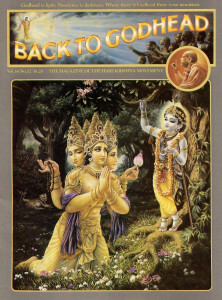 Ultimately Krsna revealed all the varied aspects of creation dancing within the unlimited expanse of His own energies. 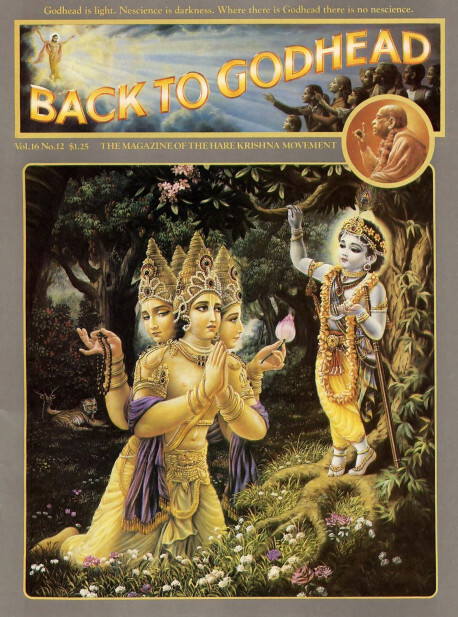 Brahma then surrendered to Krsna and offered Him humble prayers. This is all described in the Tenth Canto of Srimad-Bhagavatam.